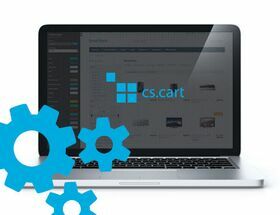 Extension to CS-Cart and Multi-Vendor allows you to personalize dashboard chart in store administration panel. Extension to CS-Cart and Multi-Vendor allows you to personalize dashboard chart in store administration panel. In standard, chart displays only orders completed (status C) and orders processed (status P) and shows them year to year. Extension allows you to set custom criteria of chart. In extension configuration we can set which statuses will be used in chart, and if chart will be generated "year to year". And chart for them in administration panel.